Having a pet is a big responsibility. Help your child decide which items he needs to help care for Casey the cat. It is never too early to teach respect and love for animals. Any decent Halloween celebration isn't complete without a cat. Even though this cat has an arched back to look as if it's hissing, it's still cute! 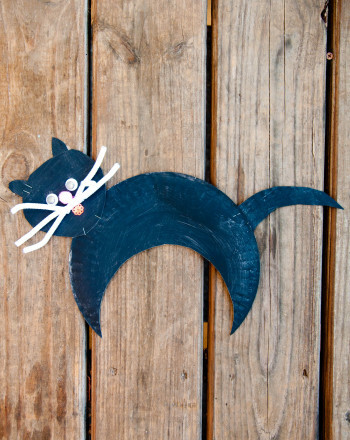 Fold an origami cat with your young artist! This simple craft is a great way to build fine motor skills. 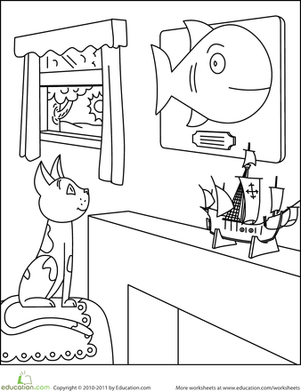 Colour Sam the Cat, a hungry cat who loves to stare at Grandpa's prize trophy fish on the wall. Is your child super savvy with sight words? Give her a fun challenge with this Russian sight word page, featuring the word "cat" in Russian! 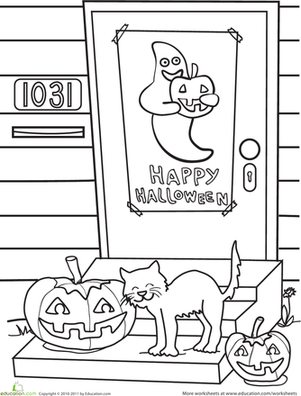 Here's a Halloween coloring page that's sure to entertain your child. It features a cat, and a Jack-o-Lantern that looks just like him! 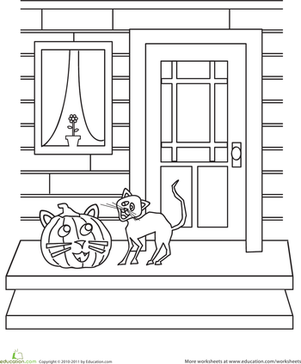 If your kid is taken in by the scarier side of Halloween, have her colour in this menacing cat. Words That Rhyme with "Cat": Which One Doesn't Belong? 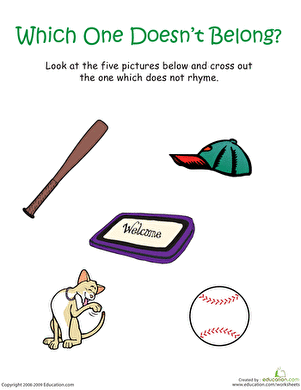 Looking for a worksheet to help your child's phonics skills? 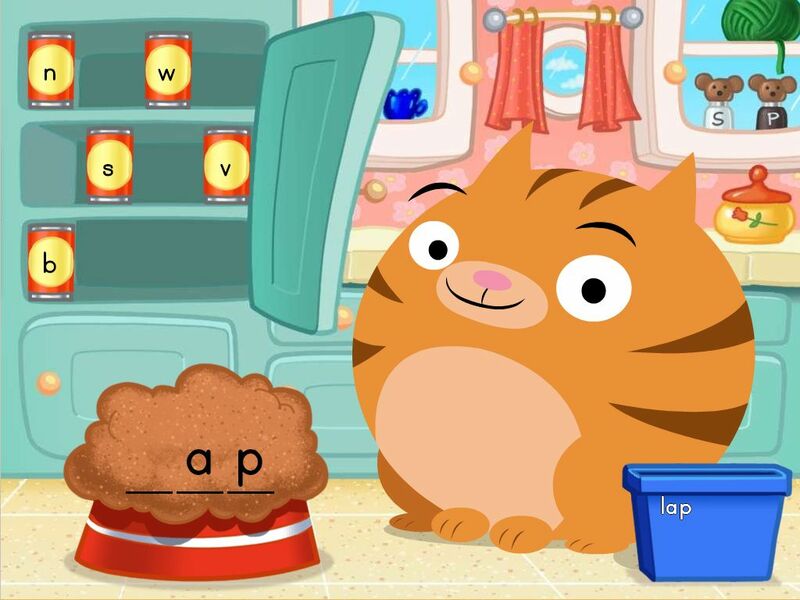 This printable will help him practise words that rhyme with "cat". The mommy cat on this coloring sheet is giving her kitten a bath the way that only cats do--no soap or water required!